Knives have been a part of human history even before the wheel, used as a tool for survival. To this day people often need to separate one object into two or more, or to perform any number of other leverage-related jobs. Among knives, few types are more recognized by name than the Bowie Knife (technically any sheath blade with a cross-guard and a clip point). This knife pattern is a favorite among collectors for its definitive appearance and long reputation. The original knife was created by James Black for David Bowie early in 1830, after the latter was seriously wounded in a duel-turned-brawl known as the Sandbar Fight in 1827. From that point onward, Bowie was known to carry one of the knives that would later carry his namesake. As recently as May 2017, a collectable Bowie Knife auctioned for $120,000, setting the record for any auctioned Knife. 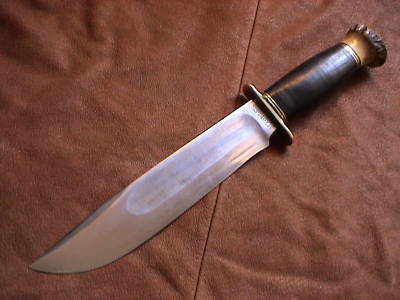 Antique Bowie Knives typically cost anywhere between $50 and $500 based on condition and appearance. Because of the popularity of these knives, many are unique or unusual.